“I own only one Braque painting. 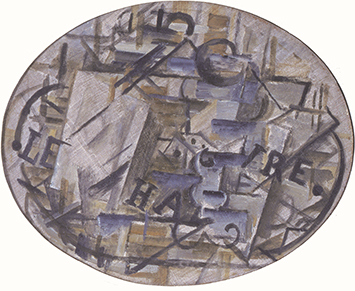 A tiny Cubist painting from 1911, Souvenir of Le Havre. Of a rare quality. It is so firm, sharp, powerful one could easily attribute it to Picasso. The thing that differentiates the two painters is that Braque makes you think of music. Whereas Picasso is angular, strong and powerful, more bull-like than Braque. And I understand the meaning of that phrase, if it is true, Picasso is said to have pronounced: ‘Braque is a woman.’ Yes, there is something feminine about Braque’s paintings of the Cubist period, whereas Picasso’s are virile, masculine, even brutal. Yet often there is more nobility in Braque than in Picasso. Nobility in the sense of deep feeling” (Jean Planque, Diary, 25 September 1973).